The WordPress SEO training course for beginners is ideal for anyone who wants to learn how to do search engine optimisation for their WordPress websites/blogs. This is a one day SEO training course which provides valuable knowledge about every aspect of search engine optimisation for WordPress sites. The skills you gain will help you optimise your websites and save hundreds of pounds which you may have to otherwise pay to an SEO agency. Knowing how to do search engine optimisation is one of most essential online marketing skills you should master. In this course advanced SEO training topics such as Video SEO and Google Hangout SEO will also be covered. For more information on our upcoming SEO Training in London call us on 020 7433 2576 or email us at info@bermotech.com. Keyword Research techniques, how to write the perfect blog post and content automations – The best content marketing techniques. This is a one day course that runs from 9am to 4pm with one hour break for lunch. Students can bring their own laptop if they want. Otherwise a laptop will be provided. Search Engine Optimisation, also referred to as SEO is a valuable technique used by webmasters to improve upon a sites “organic” position for its chosen keywords, within search engines such as Google, Bing and Yahoo to name only a few. When a browser types a query in to Google, the search engine will use its algorithms to create a list of websites that match the users query, these are called the “organic” search results as you cannot pay to appear within these results or to improve your positioning, unlike PPC, or display campaigns. On page SEO is important because search engines crawl websites, in order to go in search of relevant high quality quality content, including written text, images, videos and more. Once produced the content on site is crawled, before being indexed by search engines. This helps to give them an idea about the site, including the keywords and phrases that are being targeted. Off page SEO is about building authority for a website, and the keywords that are being targeted. The main technique is to create backlinks back to your site from other sites. The more authoritative the site, the more important the backlink is. 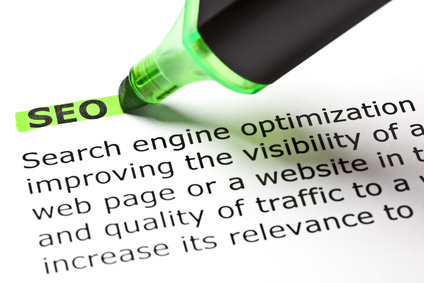 SEO is important if you want your site to be found by search engines such as Google! Studies show that webmasters, that have applied best practice “white hat” SEO techniques to their websites have gone on to benefit from improved rankings for their targeted keywords as well as an increase in traffic. Not only that, reports show that “organic” search results are trusted by browsers more than paid results. Yes! A business in 1st position on Google and other search engines, is more likely to get the bulk of traffic for a particular keyword or phrase, compared to a website that is on page 4 for that keyword. If you are interested in SEO and want to find out how you can benefit from learning more about this technique, then why not enquire about our SEO training courses in London.